The limited-edition chip flavor was spotted in stores this week. 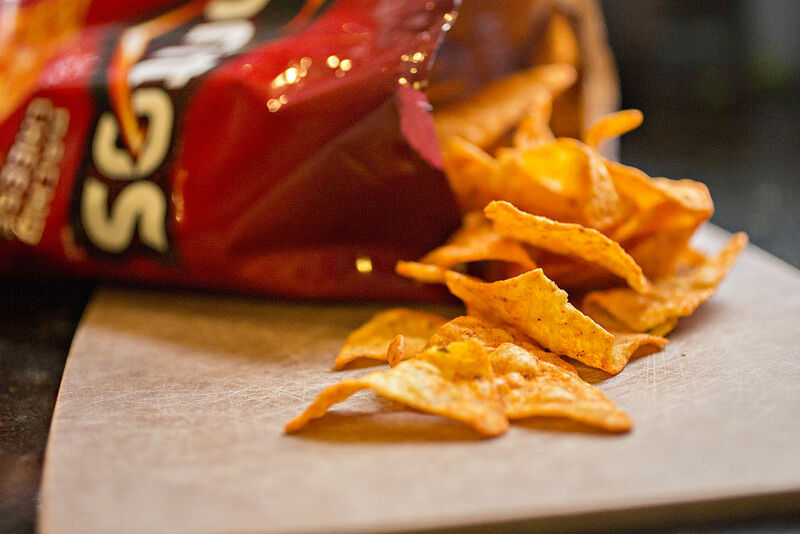 Doritos is no stranger to what you might call interesting flavor combinations. For Halloween, Doritos lovers in Japan have crunched on garlic pepper Doritos that are literally black. There were Mountain Dew Doritos. There were Rainbow Doritos, in bright hues of red, orange, green, blue, and purple, but all with that classic cheesy Dorito flavor. And there's classic Cool Ranch too. Now, Frito-Lay is rolling out Wasabi Doritos, a junk food Instagrammer @CandyHunting has revealed in a post. While the chip company has been experimenting with Flamin' Hot items, coated in bright red powder, these chips go in a slightly different direction. They're green and, well, spicy, just like wasabi. Limited Time Only Wasabi Doritos are out now at Walmart! @CandyHunting, reports they spotted the newest Doritos on shelves at Walmart, and that they're a limited-edition flavor. They're also available at Sam's Club, and online on Amazon. They may have only recently hit shelves, but people already have plenty of opinions. @CandyHunting's post has more than 100 comments. One user described them as "just OK, not hot at all," while another user gushed, "I thought these were amazing." Another simply complained, "they [Frito Lay] need to stop playing and bring back flaming hot Doritos." Twitter users also have a lot of opinions about Wasabi Doritos. "These wasabi Doritos are the bomb dot com," one tweeted this week. Another says, "eating my feelings of outrage in the form of Wasabi Doritos. They're fine, but could be hotter and more blatantly green." These new Wasabi Doritos aren't Doritos' first foray into green-colored chips. The brand has also teamed up with Xbox to create game-inspired flavors, including Halo Nacho, Halo Diablo, Gears of War 4 Incognita, Gears of War 4 Flamin' Hot, Forza Pizzerolas, Forza 3Ds, and one green variety, the grilled jalapeño Xbox One X Power Up flavor, Imgmr reports. Whatever you do, don't mix them with any soy sauce.